Just two flights of stairs away from one of Britain’s busiest retail floors, six storeys above Oxford Street, lies London’s newest urban green space. The Frustrated Gardener visited today, just a few days after it was revealed to the public. 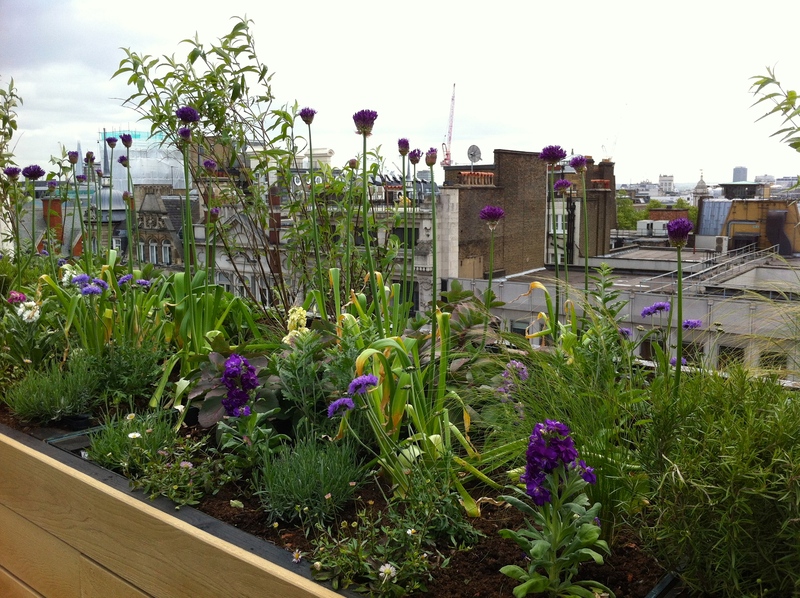 In honour of 150 years trading on London’s Oxford Street, John Lewis has created a vibrant new garden on the roof of its flagship store. Designed by Tony Woods, the RHS Young Garden Designer of the Year 2013, the space has been transformed from a drab landscape of grey roofing felt, to a green oasis. 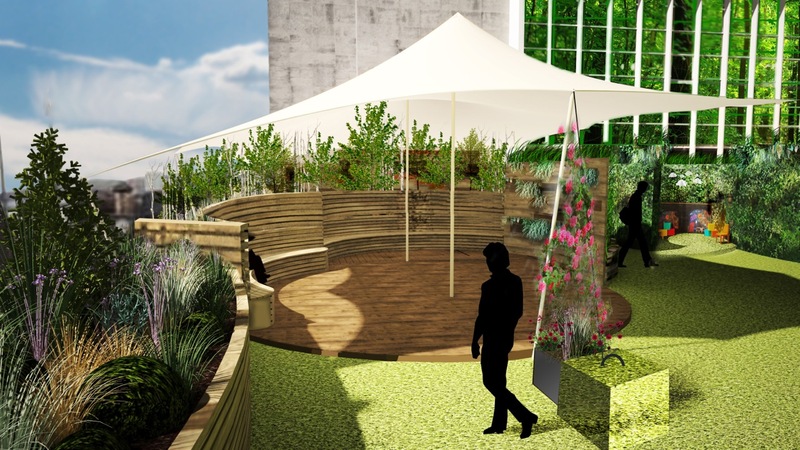 Located at the front of the store, the garden has views over the Mayfair rooftops to icons such as the London Eye, pleasantly blurred by a fuzz of birches, willows and wildlife-friendly flowers. Part of the John Lewis Partnership, Longstock Park Water Garden and its nursery provided Tony with both inspiration and plant material for the project. The planting is designed to withstand the rigors of its lofty position and to provide nectar for urban bees and butterflies. Flowering now are Allium ‘Purple Sensation’, Erigeron karvinskianus, and Erysimum ‘Bowles’s Mauve’, with roses, lavender, sedums and jasmine lined up for later in the summer. A green wall, so fashionable at the moment, reflects John Lewis’ forward thinking approach to retailing. It’s early days and so far the garden retains that ‘just finished’ look we last saw on Ground Force. Wide expanses are laid to hard-wearing artificial turf; surprisingly realistic until the total lack of weeds is detected. 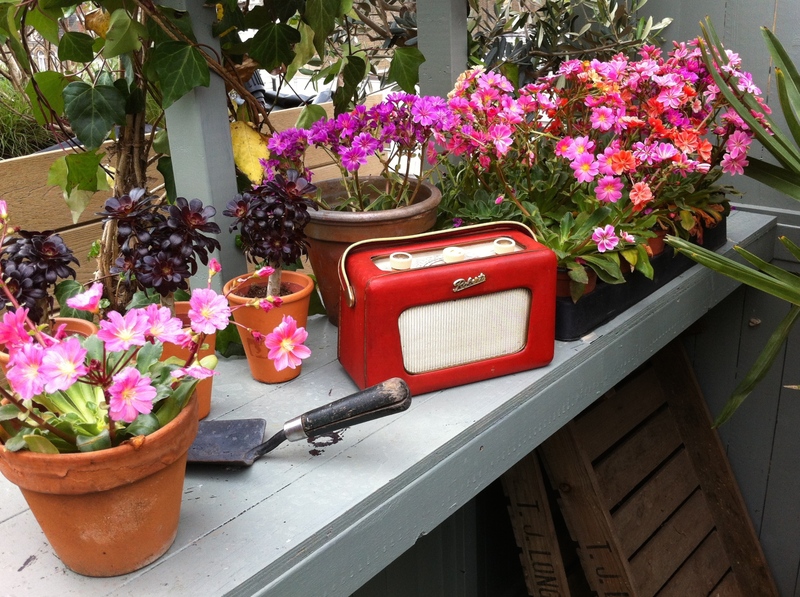 It’s hoped that through the summer the garden will mature and become hub for weary shoppers and sunworshippers alike. There’s a Joe and the Juice outlet offering refreshing drinks and tasty snacks so, combined with the short climb up to the roof, a visit can only be described as healthy exercise. 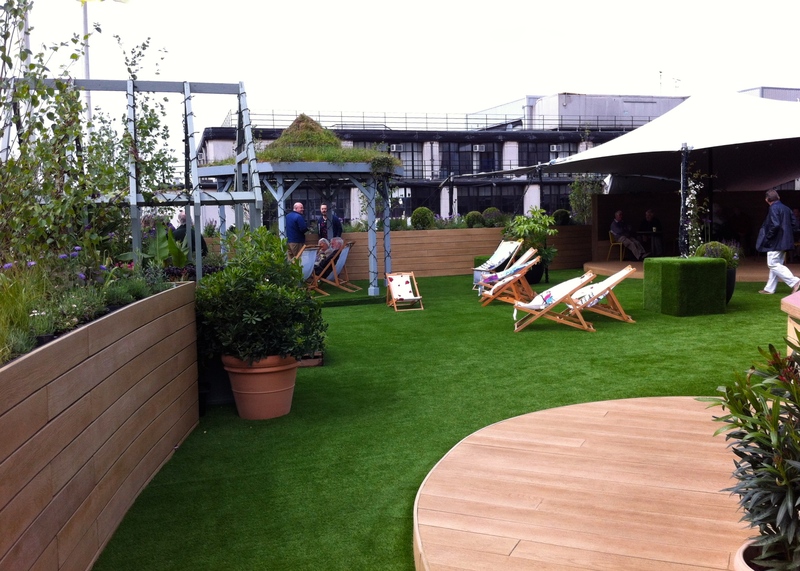 The John Lewis Oxford Street roof garden is open daily 10am – 4pm (Sunday 11.30am – 4pm) and will be hosting a series of events throughout the summer. You must. Go up to the 5th floor and then through the audio department. I understand it’s mobbed on sunny days and weekends, so perhaps go early or late.